Do you want the very best teaching resources for your classroom? Are you looking for English teaching resources to add sizzle and pizzazz to the everyday? Here are my personal recommendations. I use these products personally with the students I tutor and teach, and they are well - worth my hard-earned cash! I recommend them without hesitation. I do receive a small commission if you purchase them through my site, but even if I didn't, I'd recommend them anyway! If you've ever found yourself tutoring or teaching a teenager or adult student with less-than-adequate writing preparation, then this is your secret weapon! The material is adaptable to private tutoring (which I currently do) to classroom teaching (which I may do again someday!). I am using these techniques with my middle school students to my adult college students, and Stop Essay Pain! is making the writing process far easier, far less intimidating for older student writers who thought they couldn't muster up the first sentence! For reading and writing about great literature, try LitWorks. The lesson outlines, study guides and writing exercises get students into an interpretive understanding of all those classics on the reading lists! It isn't easy to analyze and write about the literary greats, but LitWorks smooths the process for your students. Very helpful when I'm tutoring a high school or college student as we work through an assigned classic! I once taught a middle school drama elective at a private academy. Way loads of fun! And for this writing teacher, drama games and creative wring go hand-in-hand! 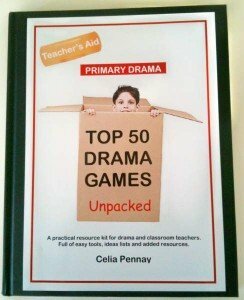 Top 50 Drama Games Unpacked offers plenty of fresh activities for English, drama, and elementary school classes. Use these games to inspire plenty of creative writing! Download Top 50 Drama Games Unpacked. 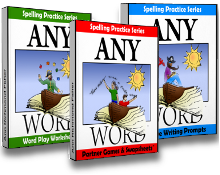 For mastering spelling and vocabulary with a hands-on approach, try the AnyWord Spelling Series! Really! Any word! Proper spelling often intimidates and discourages young writers, and this is a fun approach to help your students face and conquer those spelling fears. Good writers develop from good readers. 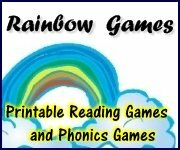 For those of you teaching younger children, I recommend Rainbow Reading Games. I'm sure your school already utilizes a reading and phonics curriculum. Use these games as a supplement for entertaining reinforcement of those foundational reading skills. Many of the students I tutor are starved for an active, hands-on way of mastering phonics and basic comprehension abilities. I'm always looking for the best reading games to use during our sessions. Download your printable reading games now! Try both Math Board Games and Making Math More Fun. Kids need to review math facts and concepts anyway, so these are great for hands-on practice in elementary math classes. Take these games one step further and do what I did with a third-grade class! I developed a RAFT writing prompt based upon these games and the kids wrote and designed their own math games as a review for state testing! They loved it! I'm sure you'll enjoy any of these helpful teaching resources. I'll be adding more to this page as I test them with my own students.